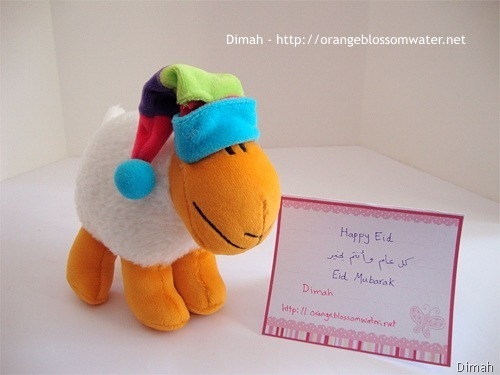 The preparations for Eid Al-Adha are similar to Eid Al-Fitr, and the only difference between Eid Al-Adha and Eid Al-Fitr is that during the celebration of Eid al-Adha, Muslims commemorate and remember Abraham’s trials, by themselves slaughtering an animal such as a sheep, cow, goat or camel. 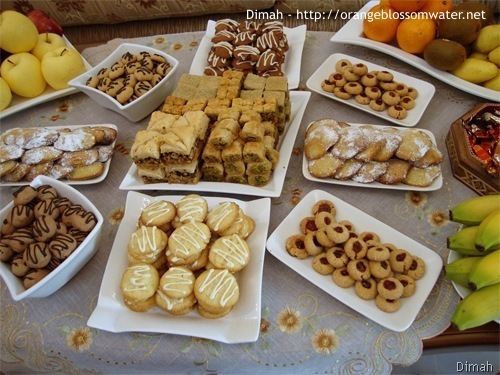 In both Eids, sweets are prepared, we buy new clothes, and visit our relatives, and there is something called “E’idiyeh” it is some money given by old members of the family to the younger ones as a gift in Eid (Eid Al-Fitr and Eid Al-Adha), my father and my uncles give me “E’idiyeh” each Eid (Eid Al-Fitr and Eid Al-Adha). 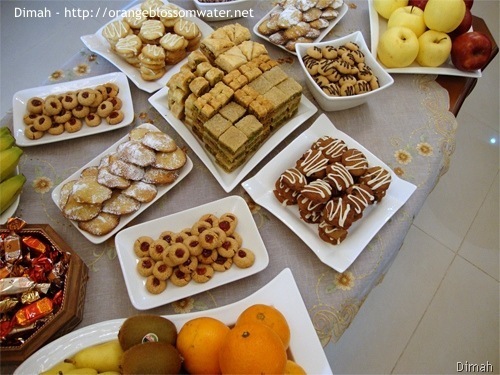 This is our table in Eid Al-Adha. 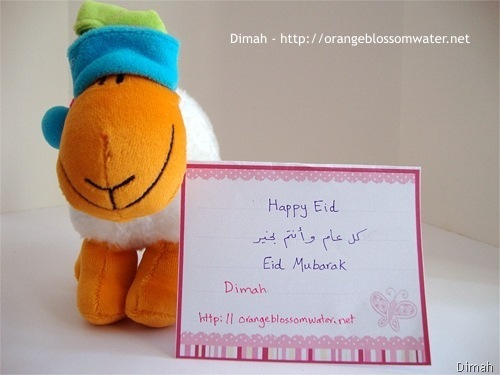 Happy Eid, Eid Mubarak, Kel A’am Wantum Bekhair. 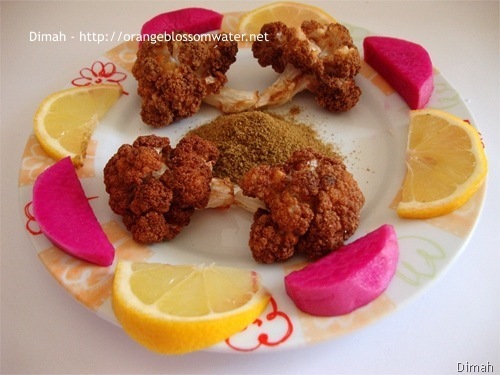 Zaher Meqli means fried cauliflower, very popular in Syria, easy and delicious. 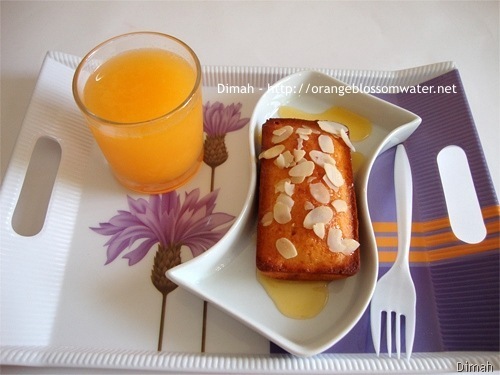 I’m busy with preparations for Eid Al-Adha, searching for recipes and baking. These loaves are not for Eid, I made them to try my new mini pans. I’m in love with these mini pans, they are so cute! The idea of Shesh Barak is similar to Kibbeh Labniyeh. 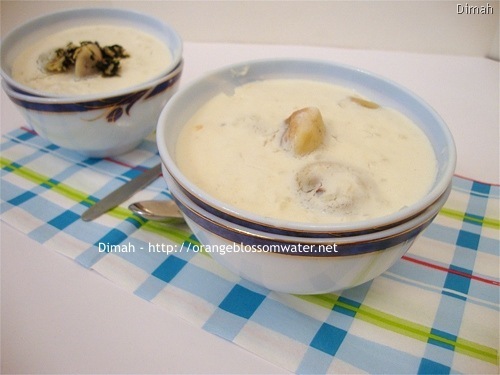 In Shesh Barak, Mini Sambousek is prepared and cooked in yogurt sauce.